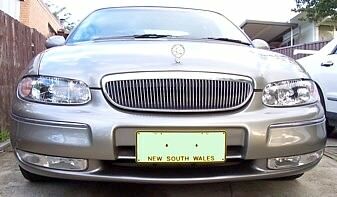 Discussion in 'VT - VX Holden Commodore (1997 - 2002)' started by locksmith, Jul 23, 2006. On average, every third time i start the car, within 3 seconds the ABS,Traction, Airbag And OIL lights come on and the low feul and airbag alarms sounds go off. It has also done it while driving but not often. when it does happen, i can hear a fan (which i don't normally hear) go full throttle). Its now doing it more often, got no idea what causing it. Sometimes it goes back to normal as you drive. When i drive i can hear a loud whining sound but can't tell where it is coming from, replaced front wheel wheel bearings (on mechanics advice) didn't fix problem. A lot peolpe have the same problem and it seems its usually an ABS module problem. Maybe just faulty connection on the plug. Some tyres are very loud and make a noise that can be confused with a wheel bearing noise. Just a suggestion. My Acclaim has done most of what you describe at times with various lights remaining on after startup or the engine cooling fan running with a totally cold engine. What I find is that if I turn the key til the dash lights come on and then wait til all but the engine light and oil light have gone out before actually starting the engine then everything is fine. Yes that can be tedious, but in practice I just turn the key as soon as I get in and then by the time I have shut the door and done up the seatbelt everything is good to go. On occasions though the Trac Off light will refuse to go out however long I wait so then the only way is to turn off and try again. What I don't know is whether this is typical of all VT's or if yours and mine are a bit slow. Most definately your ABS Computer module. Just had the same thing happen to mine. VT S2 Acclaim. Holdens wanted 660.00 to replace it. With a bit of investgation I found Motor Traders(i'm in Adelaide) Can do you a change over for 280.00. You Have to pay a 330 dollar deposit though or take the old one off before you go and get one. You can drive the car without it I assure you. Just no ABS or trac control so drive sensibly. There are six size 20 torx bit screws holding it on. Motor traders sell these too..Anyway it's a piece of piss to do your self if you are mildly clever with a snap on screwdriver. yeh my mums VT Berlina had exactly the same problem. Its the abs module, i just had the same problem i changed the bcm, remote and ecu, still didnt fix it so i changed the abs module, all better! the whine could possibly be the transmission, could be on its way out. Does it get less noticeable through gear changes?